Erie Poptop Actuators - Edgemont Precision Rebuilders, Inc. The TAC Erie PopTop series valve and actuators provide easy installation for a variety of heating and cooling applications. The PopTop valve assemblies allow the actuator to be snapped onto, or off from, the valve body. 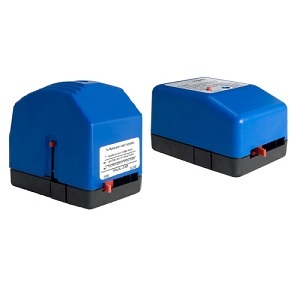 The actuator can be mounted after the valve body has been installed onto the fan coil, baseboard or air handler without the need for linkages or calibration. Actuators are Spring Return Two-Position, Floating and Proportional or Non-Spring Return Floating and Proportional.